There's more to the marijuana industry than just growing and selling cannabis. That's why we're providing our readers with three surprising marijuana stocks to watch in 2017. 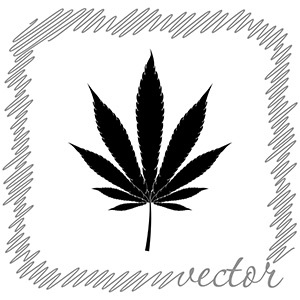 You see, some of the top marijuana stocks on the market come from a variety of subsectors – growers, edibles, dispensaries, and more. And as a service to Money Morning readers, we're now making available a 90-page cannabis investing guide called The Roadmap to Marijuana Millions. We'll have more on that in just a bit. Marijuana Stocks to Watch in 2017 No. 3: Zoned Properties Inc.
As more states legalize marijuana, the need for marijuana real estate will increase. ZDPY shareholders also just received good news on Dec. 1, when Zoned Properties announced it received unanimous approval to develop the first parcel of land in Colorado for its Marijuana Business Park. Special Report: Get Rich from Legal Weed. Soon, the DEA Can't Stop You. According to Yahoo! Finance, Zoned Properties will expand its one-and-a-half-acre parcel up to 35 acres over the next few years. It's true ZDPY is a penny stock, and penny stocks are risky. It opened this morning at $2.11 per share, and the ZDPY stock price is down 88% over the last 12 months. But as the marijuana industry becomes more legitimate through legislation, this is a marijuana stock to watch in 2017.